The page you were looking for ( ) could not be found. You have been redirected. A member of our support team has been notified of this error and will review this link. 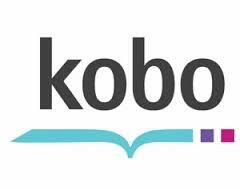 Please update any bookmarks you may have pointing at the old page. 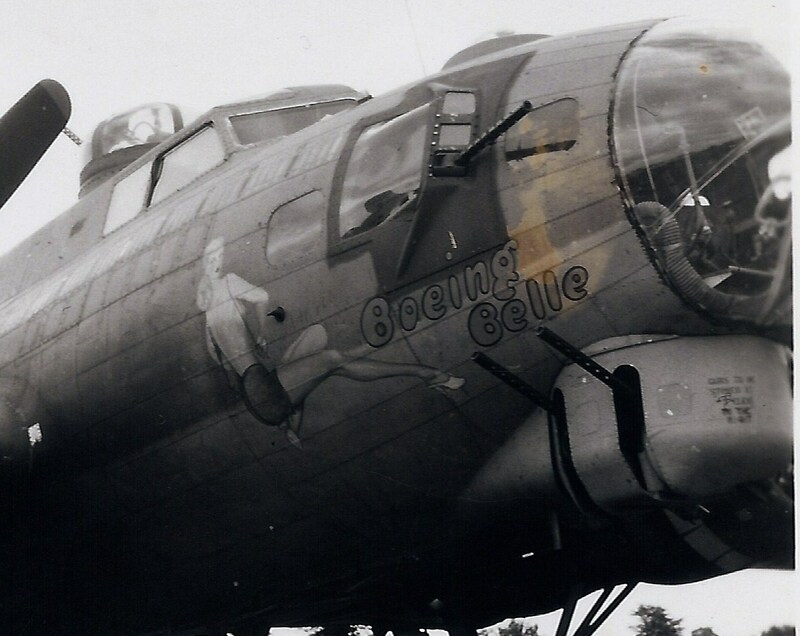 The project's purpose is to gather and record information and photographs on named or embellished planes of all types which served with the USAAF in all theatres of operation and to detail the work done by those men (and women) who painted nose art - including civilian personnel. More than simply recording the basic information of aircraft serial numbers and codes, details are gathered from veterans' recollections, diary notes, official archive records, photographs, press releases, photo albums, scrap books, news clippings and documents to build up as comprehensive a record as possible of the history and fate of each aircraft, its mission list, crews and casualties, ground crew, modifications, etc. 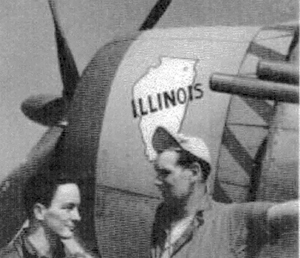 Veterans who flew or maintained the aircraft are sought and their information on missions, modifications, battle damage, ultimate fate and any other stories about their planes are gathered. Information relating to the naming of the plane, its origin, when, where, why and by whom is also sought as is any information on the men and women who painted the art works on the aircraft and crew jackets. Over the past years correspondence has been maintained with many hundreds of veterans and their familes. If you have any information or photographs relating to any named plane I would like to hear from you and to be able to record and incorporate your material into the project's files. So far, the project has resulted in the publication of four printed books based upon some of the material gathered. 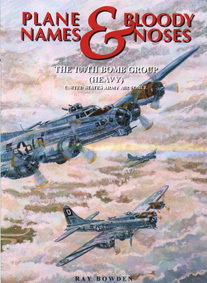 The first, "Plane Names & Fancy Noses - The 91st Bomb Group (Heavy)" is a detailed study of 300+ named B17 Flying Fortresses which served with 91st Bomb Group (Heavy) flying from Bassingbourn in England. The second, Tales to Noses over Berlin is devoted of the twenty daylight raids made by the 8th Air Force on Berlin during 1944 and 1945, supplementing official US and German archives records with the stories of some of the named planes which flew to or were lost over that target. 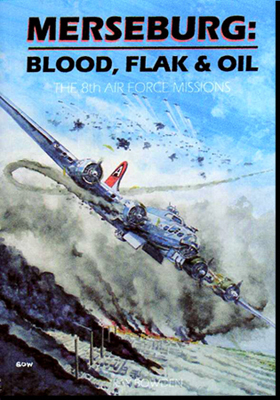 "Plane Names & Bloody Noses"
The fourth publication is a book devoted to the daylight missions flown against the huge and important Leuna synthetic oil plant: "Merseburg : Blood, Flak & Oil. " 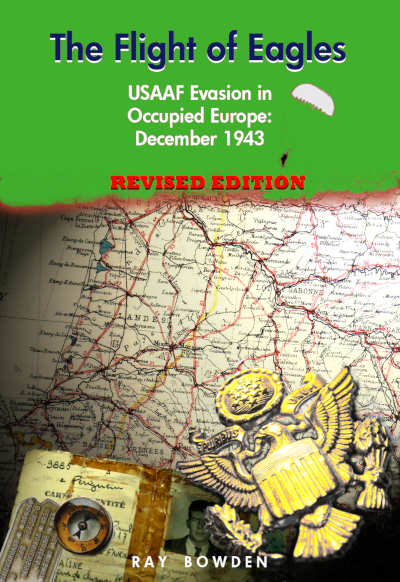 "The Flight Of Eagles - USAAF Evasion in Occupied Europe, December 1943"
A study of the 121 airmen who successfully evaded capture and returned to England based on their details and secret interrogations made only days after their return. 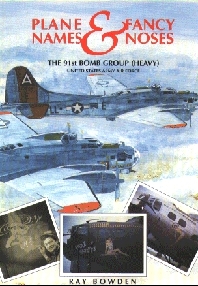 Also in planning/research phase is a volume on the named planes of 94th Bomb Group (Heavy) and another on the named planes of the 385th Bomb Group (Heavy) . On-going research involves the gathering of information, photos and crew/mission/damage data to provide individual airplane profiles as well as information relating to artists or any person (military or civilian) responsible for naming or painting aircraft. Information on the origin of specific nose arts or themes is also being gathered. A signed Limited Edition full colour print of the cover painting by Ray Bowden for "Plane Names & Fancy Noses - 91BG" is also available for purchase. If you have information regarding WWII Nose Art which you can share, please get in touch using the Contact Us link above. Many thanks.